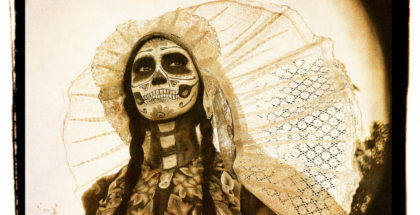 Feature image courtesy of the Smithsonian. It’s Fourth of July season, which means it’s time for intense patriotism on social and other media. We’ll see slews of posts on the most Americana XYZ thing and guides to finding the most Independence Day-themed stuffs, all the stuffs, out there. We too are guilty of it here at PorchDrinking. We love showing you the best beers that portray all of the awesomeness that America is and we’re not exactly quiet with things that we love. But this 6er is a toast to a more revered and stoic part of the holiday—the brilliance that was the American spirit that fueled the start of our country. You can visit Fort McHenry in Baltimore. You can walk the grounds and see a brief film about the battle and flag that inspired Francis Scott Key in 1814 to write a poem that would become “The Star Spangled Banner.” It’s powerful to put context to something that seems opaque. How many times have you heard that song without thinking about from where it came? This toast is meant to let you pause to read each line of the start of our anthem, to let you realize that it’s not just a song and not just a routine. Sure, this is beer; it’s not meant to trivialize something important. 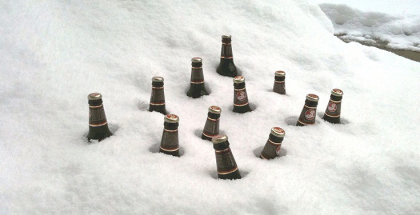 Rather, take this 6er and share it as a new way to remember our roots. We’ll pepper in some knowledge about the song and the flag as well, just to freshen you up on your American history. Photo courtesy of Victory Brewing. To embrace the start of the day, this Hefeweizen is unfiltered, tangy, crisp and ready to handle the events ahead. Hazy in its pour, it carries a 5.5% ABV and is made with the Tettnang Mittelfuh hops. 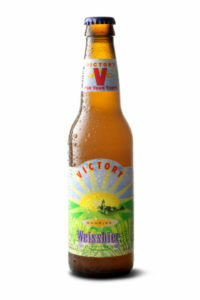 Victory Brewery, started in 1996, has three brewpubs in Pennsylvania with one carrying the flagship brewery. Victory prides itself on its environmental focus, with its owners establishing a grant to fund local water advocacy groups in its Chester County. The song that would become the U.S. national anthem is based on the poem, Defence of Fort M’Henry, from Key, an amateur poet at the time of its writing. His inspiration was the large American flag (seen above) flying about the fort during the American victory against the British Royal Navy in 1814. This blonde ale is golden, bright and crisp; it’s a natural and easy end to a summer day. 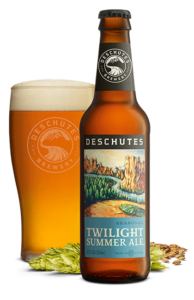 Deschutes says it carries a 5% ABV and was made with Northern Brewer, Amarillo, Cascade and Tennang hops. Oregon-based Deschutes is booming in the East Coast, launching a Roanoke, Va., brewery in 2017 to bridge the continent with its beers. It’s a citrusy-hoppy beer, meaning it can be enjoyed swiftly but also does carry notable notes on the palate. The flag known as the Star Spangled Banner is also known as the Garrison Flag, made by Mary Pickersgill. The 15 stars on the flag, according to Smithsonian’s American History Museum, were stitched into place on one side of the flag, with the cloth on the reverse side cut away to show the display. Virginia’s Starr Hill recently remastered its Grateful recipe, creating a more pale ale-inspired brew instead of something very session-forward. Added hops (Cascade, Mosaic, Centennial and Falconer’s Flight in the kettle and dry-hop, replacing Chinook, Topaz and Columbus) brings forward more fruit and citrus in the 4.7% ABV offering. This isn’t the first time Starr Hill refreshed a recipe; it updated its beloved Northern Lights IPA recipe in 2015. Grateful’s name speaks for itself: It’s a beer that cherishes the goodness in simplicity, while still striving forward to something new and good. This beer has netted some medals: In 2016, it took second place as an Irish Red Ale in the Virginia Beer Cup and bronze (for Irish-Style Red Ale) in the World Beer Cup. It is a 5.6% ABV beer, carries the foundation of a red ale and uses a combination of Crystal and Munich malts with chocolate wheat to bring its sweetness forward, gently. Red ales can be tough and can go wrong pretty fast and this seems to succeed in the style. Pale Fire Brewing Company is in Harrisonburg, Va., and only opened in 2015. The physical Garrison Flag may look like it was shot and sustained fire, however it doesn’t carry burn marks. According to the Smithsonian, the markings are actually due to iron corrosion from metal buckles, straps or other things used in the past to hold the flag. Photo courtesy of Ballast Point. We couldn’t do this 6er and not have this beer. It is a lovely pour, one that deserves to be enjoyed like a whiskey or glass of wine. It’s bold—a 10% ABV imperial porter with coffee and vanilla (evenly balanced, we think). You’ll usually see it in the 22-ounce bottles, but Ballast Point says it releases limited 12-ounce bottles as well. It’s a very smooth beer and though sounds like a heavy choice, it’s still very easily drinkable. 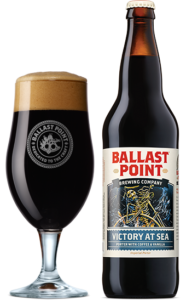 Ballast Point has been pouring since 1996 and many of its beers carry fish or fishing terms, a nod to the nautical loves of the founders. Their portfolio is definitely robust and they approach bold styles, either it be imperial porters or fruit-forward beers, with precision. Vanish is a great brewery in Loudoun County, Virginia, a region that is bubbling with new beers and breweries. (Delirium opened is U.S. located in Leesburg.) 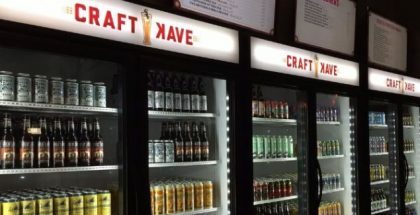 Vanish has a selection that feeds both the beer-curious, like rye pale ales, and those who want to sit, let their kids run around the brewery, and just enjoy the good life. It’s located on the 53-acre Black Hops Farm, which provides hops to the Virginia brewing industry. This American amber fits both: It’s easy, full of malt flavor, but also enjoyable all day long, notably at 5.2% ABV. It’s a great representation of the true American spirit in brewing, taking something traditional, adding a bit of innovation, and then enjoying it thoroughly. The 30-foot by 42-foot Garrison Flag that inspired the anthem is now at the Smithsonian’s National Museum of American History, probably just an hour from Vanish, along the National Mall. It’s was made a formal gift to the institution in 1912 its permanent exhibit now not only allows for preservation (dim lights, secured and monitored location) but also pristine viewing for tourists for years.